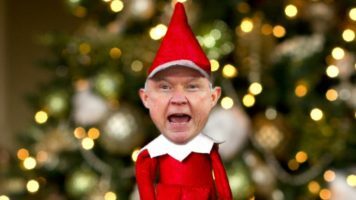 In a surprise move, the White House announced Wednesday that Attorney General Jeff Sessions had resigned to return to his seasonal gig at Santa’s workshop. “Anyone can roll back protections for minorities, but not everyone can do it like Jeff,” Rosenstein added. Many pundits believe the resignation was related to the ongoing investigation into President Donald Trump’s status on the Naughty List. Neither Trump nor Santa could be reached for comment.